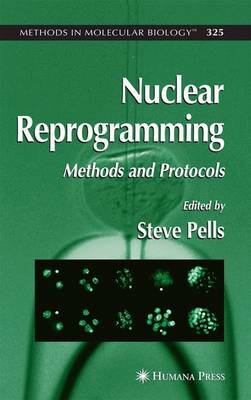 A wide-ranging collection of readily reproducible methods for performing nuclear reprogramming by nuclear transfer in several different species, by fusion through both chemical treatment and electrically shocking cells, and by in vivo treatment of cells with cell extracts. Several methods of monitoring nuclear reprogramming are also presented, including the use of transgenic markers, activation of telomerase as an ES-specific marker, light and electron microscopic observation of structural changes in the nucleus, and verification of surface marker expression and the differentiation potential of stem cells. Biochemical methods are provided for the examination of chromatin protein modifications, nucleosomal footprinting, transcription factor binding, and the study of DNA methylation changes both at the specific locus level and at the level of the whole nucleus.